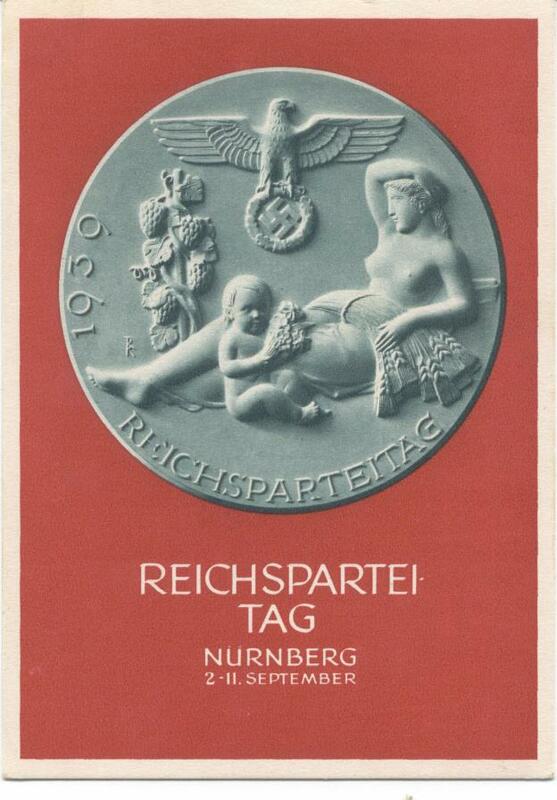 This is a nice and clean postcard commemorating the Nurnberg Reich Rally from September 2-11, 1939. The card has not been used. 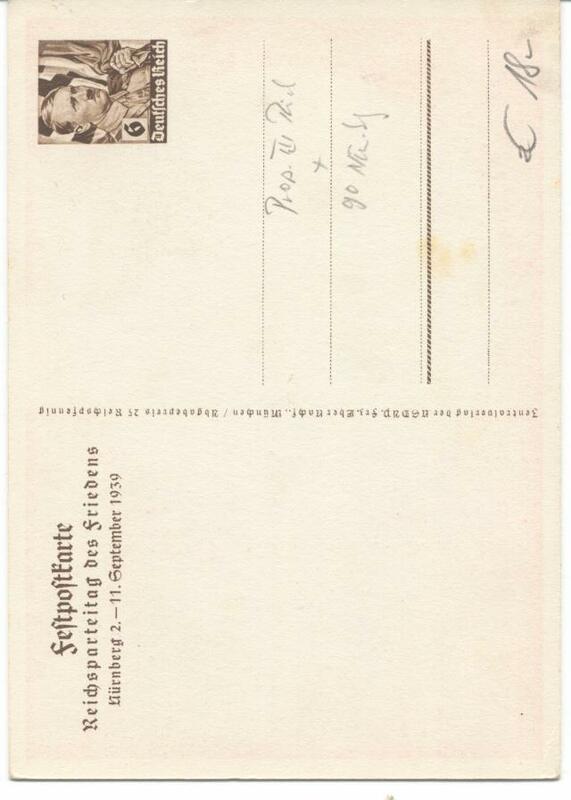 It does contain a brief description on the reverse by a previous dealer (seen in scan). I will let you decide if you want to erase it. It does not detract from the card as a whole.